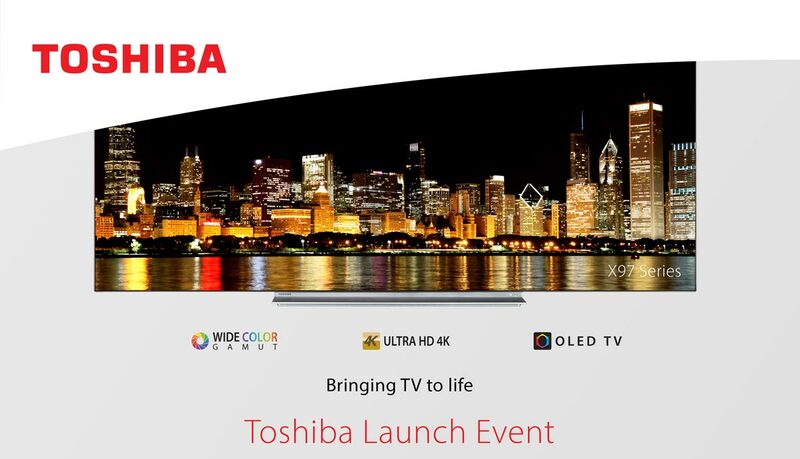 - 31 May 2017, 04:09 #11725 Toshiba will return to Europe tomorrow and has a launch event in London planned. The invitation reveals that the line-up will include an OLED TV. "The new range will include accessible OLED and wide colour gamut TVs." Vestel has acquired the rights to sell Toshiba branded TVs in Europe. - 31 May 2017, 04:11 #11726 I think the "X97 series" in the picture is very likely the new Toshiba OLED TV. - 31 May 2017, 08:42 #11727 Well in Japan, apparently, there's a 55" and 65" model in the X97 series. That 'accessible OLED' bit made me chortle. I'm assuming they're hinting at price but who knows?! - 01 Jun 2017, 04:05 #11730 And here it is: 65" X97 OLED TV. No price was announced but we are chasing more details. - 22 Jan 2019, 00:33 #15576 What happened to these, and were they lg panels? - 24 Jan 2019, 00:22 #15608 Yes, LG Display panels. They are available in some regions.